Elegant two bedroom corner apartment in Magna Marbella for holiday rentals. Beautiful and elegant two bedroom corner apartment in Magna Marbella with fantastic sea and mountain views. Layout: Entrance hall, guest toilet to the left, guest bedroom with ensuite bathroom to the right and combined living and dining area directly in front. Master bedroom, with ensuite bathroom, to the right of the living room. Well-equipped kitchen and fantastic southwest-facing terrace with dining area for 6 people, a small sofa area as well as chairs and 2 sunbeds.  Scandinavian TV channels (Norwegian, Swedish, Danish & Finnish) and cable. Lovely apartment, all our expectations were fullfilled. The apartment is first class and has everything anyone could want. The terrace which is great has outstanding views of Gibraltar,the Med and North Africa. The Magna Marbella complex is top class and has very good security and is beautiful landscaped. The pool is lovely and large and has ample sunbeds. There is also a seperate childrens pool. I highly recommend Nordica Rentals and the Magna Marbella if you are considering a vacation in Nueva Andalucia. The flat looked nice on the pictures when we booked it, but in fact in was even better in real. We came in late, but picking up the keys at the pickup point was easy and well described. Everything regarding the flat, the service by Nordica Rentals and Puerto Banus as such was a great experience and we will certainly come back another time. Thanks for a great vacation experience!